A lot of people often make the argument that they don’t have time to wash their car. Instead, they opt for automatic car washes. One of the biggest questions about these though is if they cause swirls and damage the paint. There are numerous reasons why these automatic car washes do cause damage to the paint. The first is the speed at which the bristles rotate. They are moving incredibly quickly, and they aren’t exactly the softest. Added to this is the fact that they are also carrying a lot of water in these bristles. This is effectively battering the paint work of the car which can causes scratches and swirl marks. The surface of these brushes are coarse (not unlike sandpaper) and therefore this will damage your paintwork over time. Another issue that these automatic car washes have is that the soap used is extremely cheap. Remember that the goal of these machines is to get as many cars in and out in the space of a day. There isn’t a large degree of care involved. Also, since profit is the driving force here, cheap soap is also used. This has two major problems. The first is that because it is so cheap, it is often very acidic. In turn, this will strip any protective sealants and coatings that are on your car. Also, cheaper soaps by and large have less suds when used. This therefore means that there is a distinct lack lubrication for these automatic car washes. Since the brushes and bristles are extremely aggressive, they will be dragging the dirt and road grime over the paint, as well as rock chips. This is not the case when there is a large degree of lubrication (such as using the two bucket method). 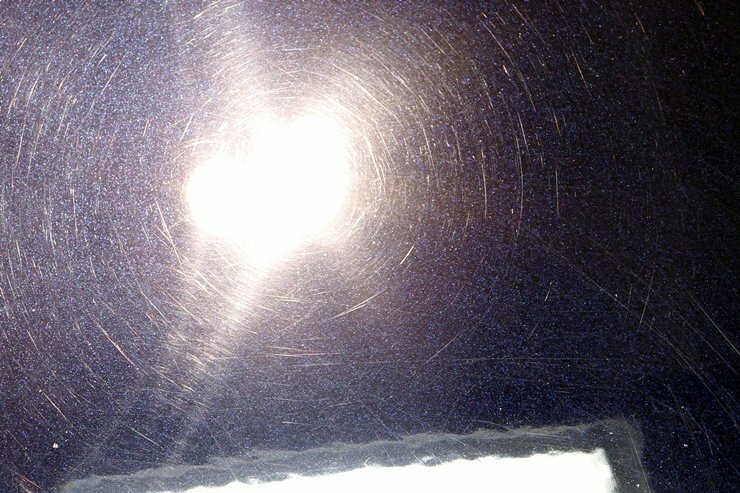 Therefore, since this grit and grime is dragged over the car at such a high speed, it results in scratches being installed into your paintwork. Due to the fact that the brushes are spinning so quickly, as well as up and down, it mimics a circular motion. This in turn creates a swirling effect on the paint work which is extremely unsightly. Between washing each car, by and large the bristles are not properly cleaned. Therefore over time the amount of grit and grime in these brushes will accumulate. This will then mean that someone else’s dirt is being dragged along your car. When you add in the other issues mentioned above, it can severely damage the paintwork and can cause real and deep scratches and rock chips in your paint. Due to these problems, it’s clear that automatic car washes do cause damage your car paint as well as causing scratches and swirls. It is therefore recommended that you carry out a wash on your own at your own home to minimise these scratches and swirls.